Using data collected from NOAA, we’ve composed a list of the ten worst hurricanes to make landfall in the U.S. These powerful storms have wrecked havoc across the country killing thousands of people and causing billions in damage. Hurricane Camille struck the Mississippi coast on August 17, 1969. The storm’s minimum barometric pressure of 26.84 inches made it the second most intense hurricane in U.S. history, behind the 1935 Labor Day hurricane. Camille’s winds at landfall were so strong that they destroyed all recording instruments. Estimates indicate maximum sustained winds of nearly 200 mph. Camille inundated 860,000 acres of land in Louisiana and Mississippi and severely damaged Gulf Coast barrier islands. The 14-mile-long Dauphin Island was 70% inundated. This storm led to implementation of the Saffir-Simpson Hurricane Wind Scale after residents felt that the hurricane warning system left them ill-prepared for the ensuing damage. 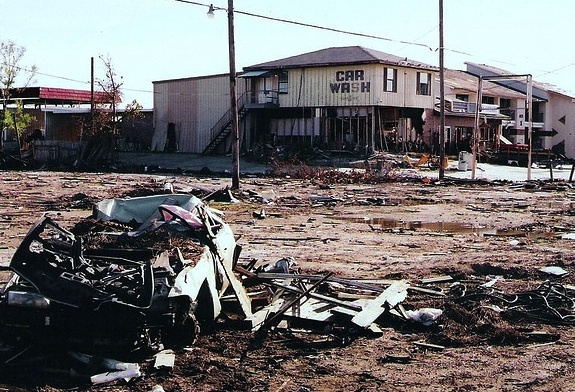 The combination of winds, storm surge, and flooding caused 256 deaths. 143 of the deaths occurred on the Gulf Coast; the rest resulted from flooding in Virginia. Total damage at the time of the storm was $1.42 billion.